Santa Monica High School (Samohi) Alumni Association (SAA) began in the fall of 1988, with the production of the first edition of the Viking News by co-founders, Linda Gray '64 and Rena McKinzie '91. The SAA, incorporated in 1991, serves the alumni and current students through its tax-exempt corporation. 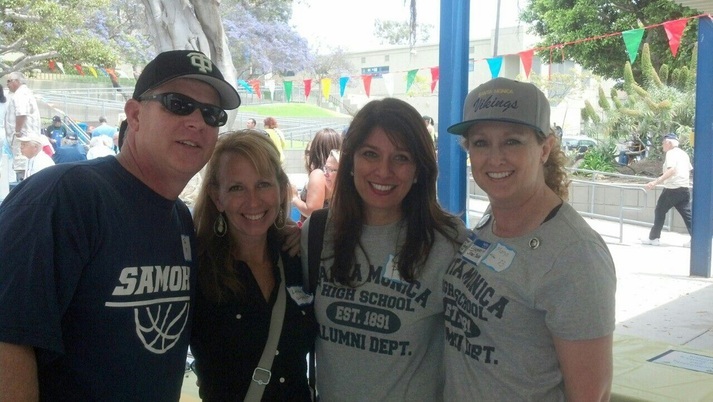 The mission of the Santa Monica High School (Samohi) Alumni Association (SAA) is to provide support to alumni and current students by encouraging involvement and interaction among alumni and between alumni and current Samohi students. The SAA is committed to the values Samohi represents - Sincerity, Maturity, Honor, and Service (SMHS) - and demonstrates those values in the work done to bring alumni together and to communicate information to current students about Samohi's rich history and traditions. The SAA endeavors not only to provide information to alumni and current students through sponsorship of school-related activities, its website and online Viking Newsletter, and The Viking News. The Alumni Association provides scholarships and financial aid to students and staff at Santa Monica's only public high school. The Alumni Association also sponsors career day, and both campus preservation and beautification projects. The SAA is a support group that encourages innovation and promotes excellence. Its Board of Directors are drawn from SAMOHI's over 50,000 living graduates, and welcomes all alumni who are interested in serving our school's proud heritage as board members. We have banded together to demonstrate our deep affection for Samohi and the values it represents: Sincerity, Maturity, Honor, and Service. Your support and participation is greatly appreciated!